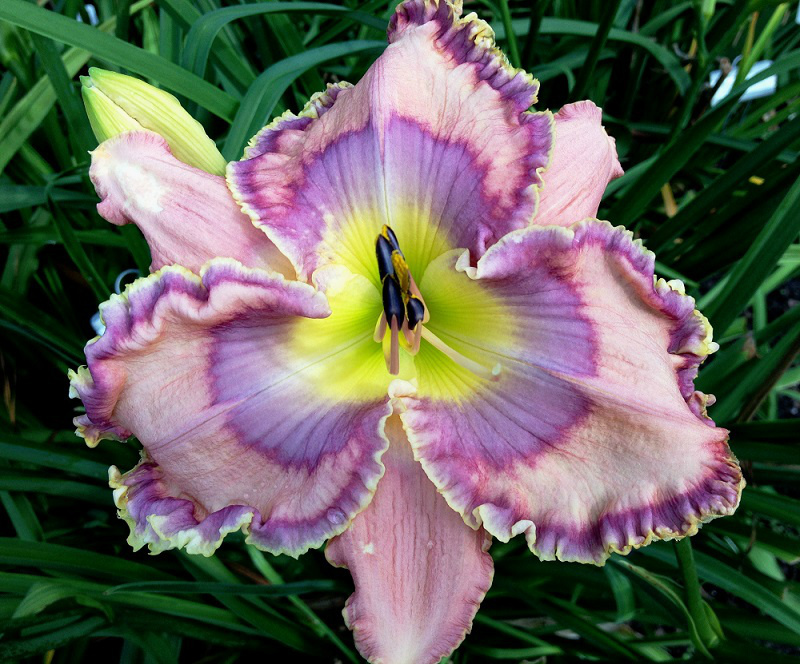 Jammin's Kaleidoscope Jewel (Singletary, 2015) $125 DF height 28in, bloom 6 1/2in, season EM, Rebloom, Semi-Evergreen, Tetraploid, Fragrant, 16 buds, 6 branches, self and sepals are a dusty rose with a purple/plum colored eye zone that are etched by a dark magenta rose around the eye on petals and sepals, with a large green throat. (Dragonfly Dawn x Lucia’s Blue Eyes). Jammin’s Lavender Lush (Singletary, 2015) $75 DF height 26in, bloom 6 1/2in, season M, Rebloom, Semi-Evergreen, Tetraploid, Fragrant, 16 buds, 5 branches, self is a light lavender purple with a medium lavender eye, etched by a darker rose/lavender eye zone, a triple edge with rose/lavender, and etched in a white lacy border, with a green throat. (Bewitching Eyes x Royal Cypher). 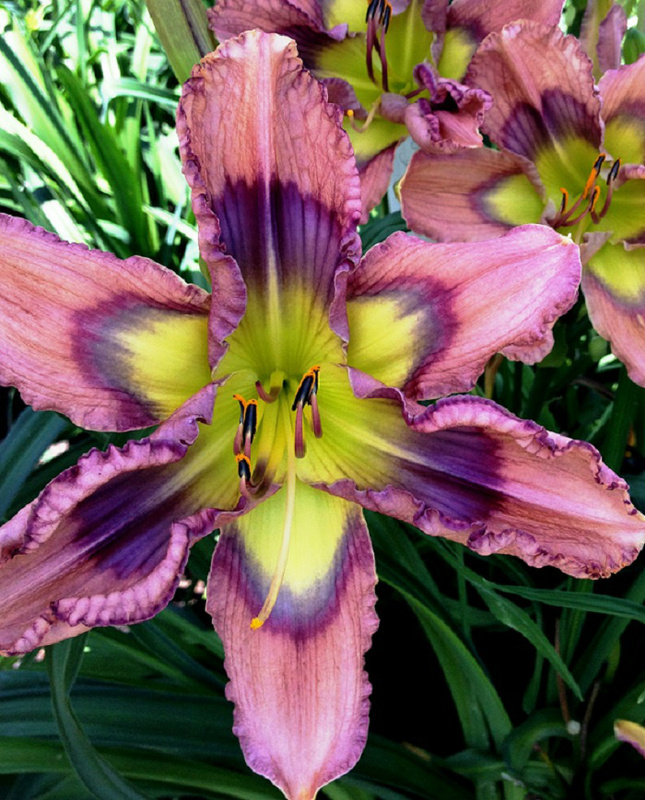 Jammin’s Mayberry (Singletary, 2015) $125 DF height 24in, bloom 6 1/2in, season M, Rebloom, Semi-evergreen, Tetraploid, Fragrant, 14buds, 4 branches, self is a dark raspberry purple with a watermark eye zone and a ruffled chartreuse edge, with a green throat. (Violet Becomes You x Merlot). 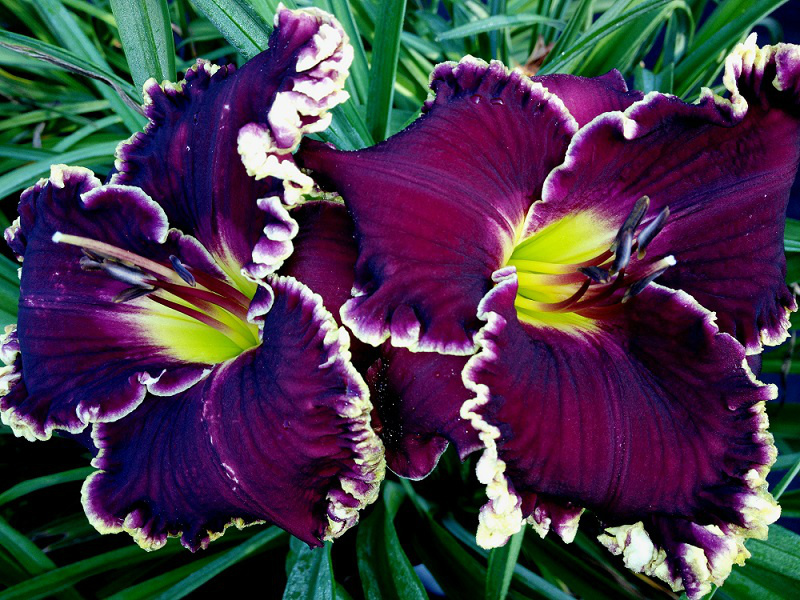 Jammin’s Plum Magic (Singletary, 2015) $125 DF height 26in, bloom 6 1/2in, season M, Rebloom, Semi-Evergreen, Tetraploid, Fragrant, 12 buds, 4 branches, self is purple plum with a watermark eye zone and etched by a ruffled white edge, with a green throat. 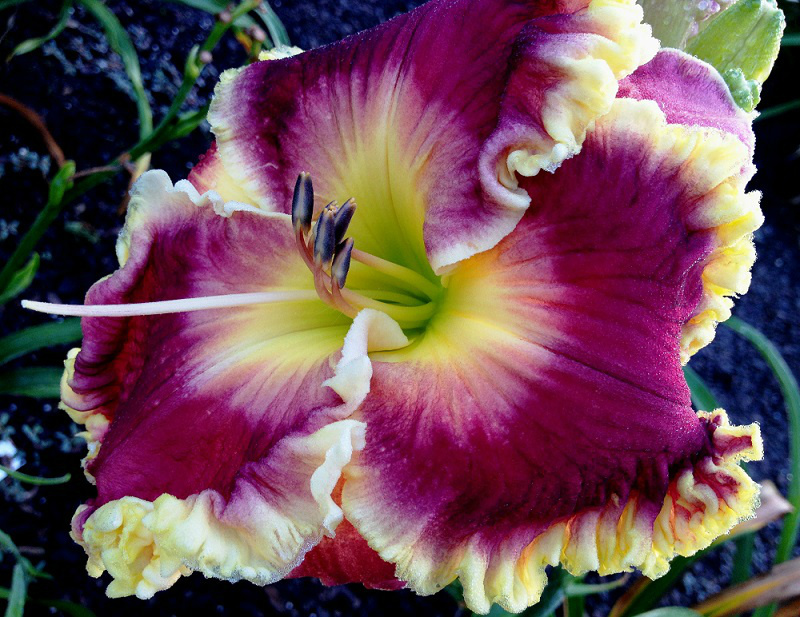 (Heartbeat of Heaven x Bella Sera). 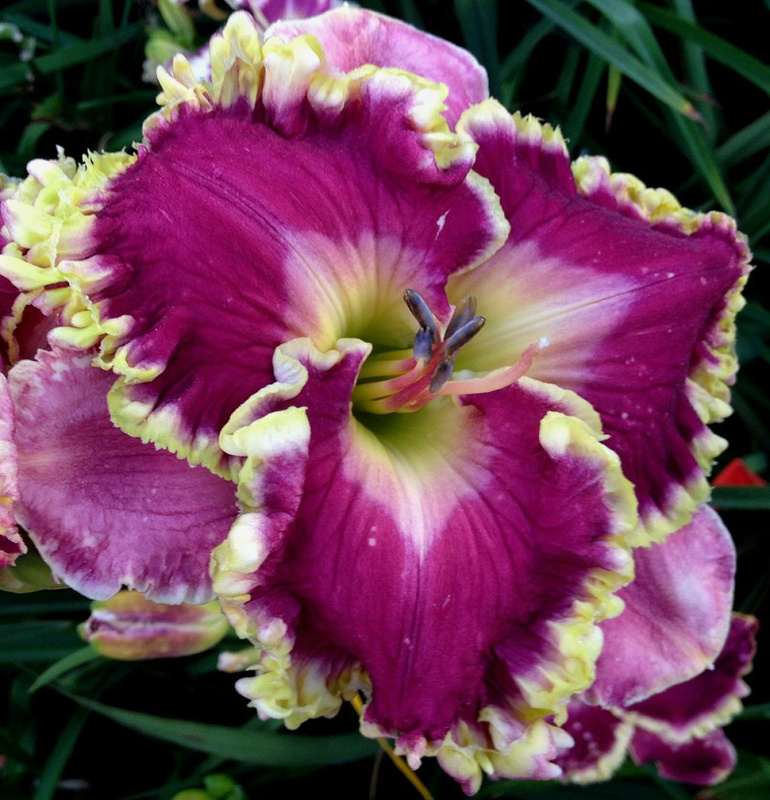 Jammin’s Rose (Singletary, 2015) $125 DF height 24in, bloom 6 1/2in, season M, Rebloom, Semi-Evergreen, Tetraploid, Fragrant, 12 buds, 4 branches, self is a burgundy to maroon in color with a watermark eye zone, surrounded by a large buttery white ruffled edge, with a green throat. (Violet Becomes x Seedling). 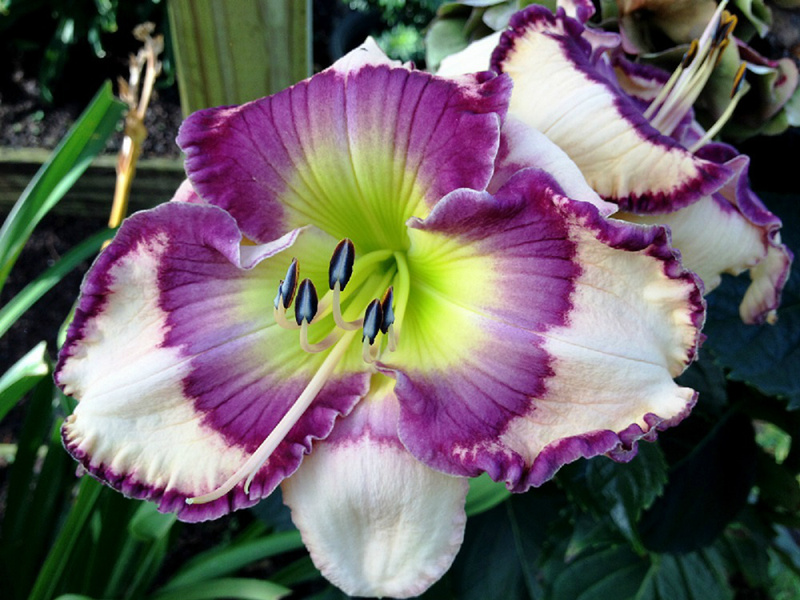 Saw a fascinating seedling of yours on the Lily Auction; so surfed over to see what you had goin' on. Nice! Heard that this weekend is "lookin and cookin" open house..... Is that mean your daylilys on sale? Yes discounts as follows..... $10-$99 10% discount on order, and over $100 20% discount on order. Discounts apply May 23-25, 2015 in Garden Only. Very nice! 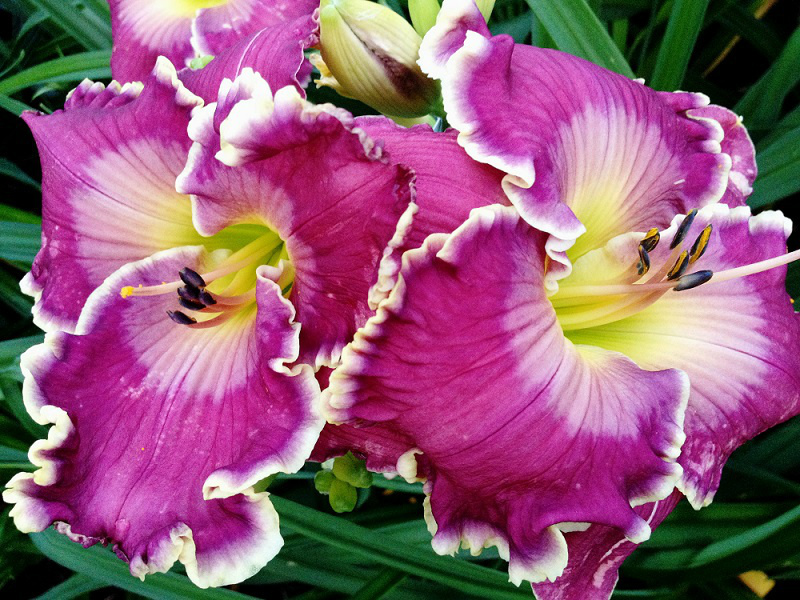 Do you do presentations for daylily clubs? They are all remarkably beautiful!!!!!!!!! Congratualtions on the new creations!!!!!!!!! !